WHY REGISTER TO AN EVENT? Valtra SmartTour 2018 kicks off in UK and Ireland in January 22nd! Visiting over 30 locations in UK and Ireland, we invite you to our full, all renewed Valtra experience on wheels. This year we showcase the very best solutions for your smarter work - the revolutionary new armrest, Valtra SmartTouch for N, T and S series as well as the complete 4th generation line-up of Valtra tractors, including our award winning T Series and the all new A Series. To make your visit even more special, we have also set up exclusive Smart Tour discounts available for selected locations. For more information check for updates on this site or contact your local Valtra dealer. We couldn’t be more excited to present you our solutions for your smarter work. We look forward to welcoming you at one of the Smart Tour events! Kicking off in Germany in February, SmartTour 2017 (previously named DemoTour) visited 15 countries in total, touring i.e. all the way from northern Finland to France, Poland, UK & Ireland and many more. This year the tour will be even bigger, starting off in UK & Ireland in as early as January. In 2017, the tour was on the road for a whole of 45 weeks – from February to December. Our dedicated SmartTour staff in each country takes care of the individual needs of each venue in order to make every day the very best possible. This year we’ll be on the road even longer – for almost the whole year. Valtra SmartTour truly brings people together – over 10 000 customers, fans and Valtra enthusiast gathered to the tours in 2017 all over Europe. If you’d like to be one of them this year – scroll down and register to an event near you! 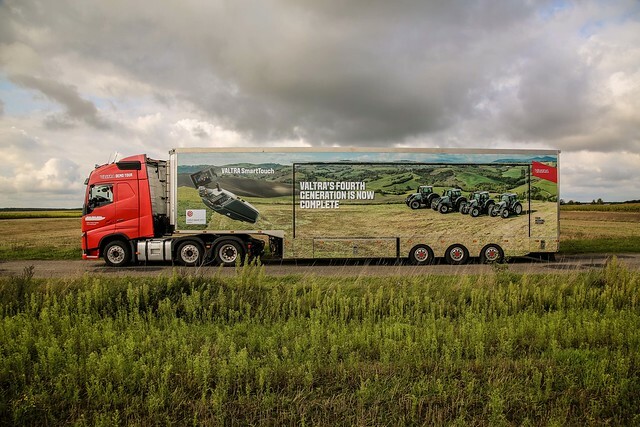 We believe in a seamless connection between our customers, dealers, machines and the Valtra factory. Stay connected with your machine and local support through our online customer portal. 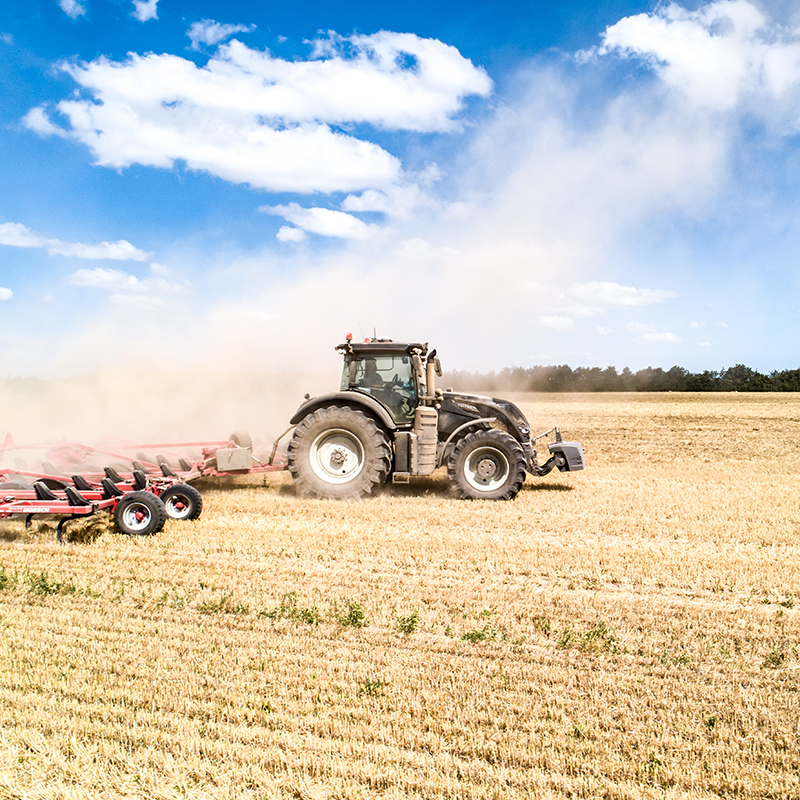 Use the data from Valtra Connect to anticipate and react to maintenance needs. On top of that make it all happen using our individually tailored financing. 28.3. Kellys of Kilkenny, Kilkenny. Your working hero got even stronger. The Valtra A Series is powershifting to the next level with the new HiTech 4 models. 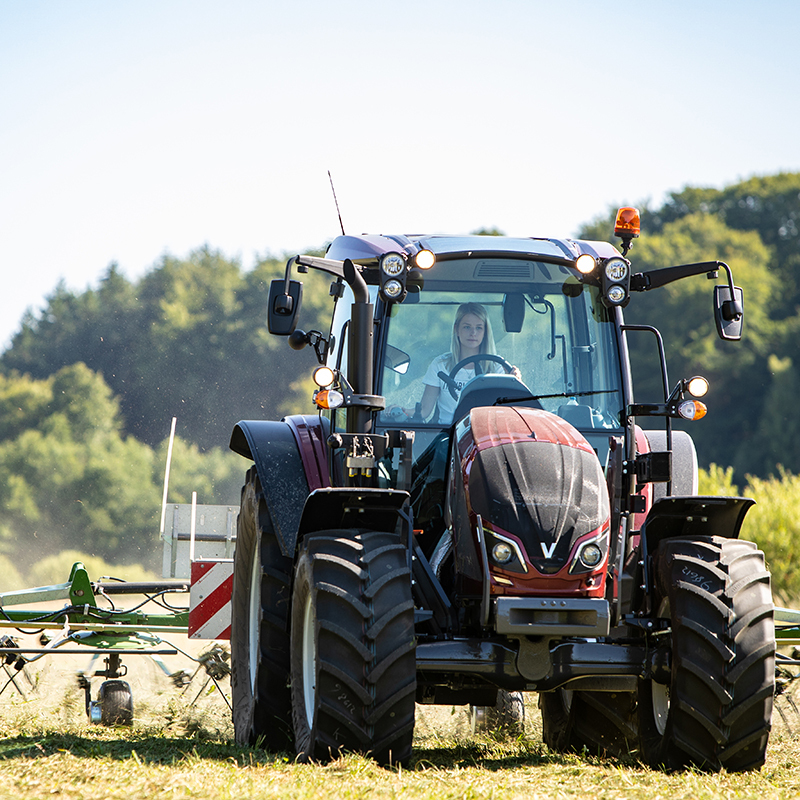 The award winning Valtra A Series is a versatile and comfortable tractor made for your everyday work. And now, it’s even more versatile and easier to use thanks to the new powershift transmission. When you need agility, it’s a small tractor that gives you big performance. ‍SMART IN SIZE. PERFECT IN PERFORMANCE. You might not need a big tractor, but you deserve a great one. The mighty yet compact Valtra N Series is now even more comfortable thanks to the new air-suspension on the front axle. The powerful 4-cylinder engine, the all-round visibility, precise handling and great agility make the N Series big where it matters. ‍BUILT FOR POWER. DESIGNED FOR CONTROL. Power is necessary, but it’s precision which brings in the profit. The Valtra T Series is the ultimate precision tool with lots of muscle when you need it. It’s built to last and gives you up to 271 hp, your choice of transmission and excellent drivability. The cabin is both comfortable and ergonomic, and it’s designed around you to give perfect all-round visibility. Smart farming is woven into every detail of our tractors, meaning guidance has never been so simple. With Valtra reliability and a low cost of ownership, we guarantee that our T Series is the best value for your hard-earned money. ‍BIG JOBS JUST GOT BETTER. The Valtra S Series is a big tractor, built to handle your toughest jobs. You can rely on it for big results. The Valtra S Series gives you balanced performance that helps you get the most out of your investment. Equipped with integrated and easy-to-use smart farming technologies, the S Series tractor will support the profitability of your business now and in the future. The S Series is for big jobs and better results. Valtra SmartTouch raises usability to a new level. It’s more intuitive than your smartphone and it’s the easiest way to manage your tractor. 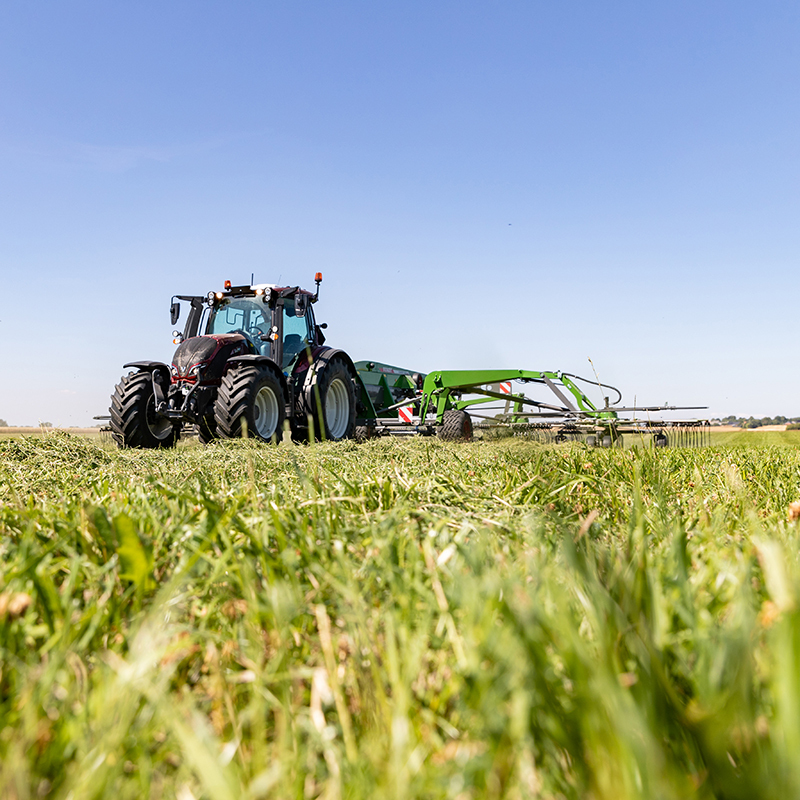 All the technology you need is integrated: Auto-Guide, Isobus, AgControl and TaskDoc. Come to the Valtra stand and experience SmartTouch, the easiest way to manage your tractor! Auto-Guide represents the next generation of automatic steering systems. It is easy to control from the SmartTouch terminal and accuracy is improved because it tracks multiple satellite systems simultaneously. Auto-Guide enhances productivity by helping you make the most of your total field area. Valtra Isobus implement control allows the tractor, implement and SmartTouch terminal to communicate with each other. The Isobus system (ISO 11783) transmits a variety of information from the tractor to the implement and vice versa. It simplifies the control of modern implements, especially those with many functions and a high level of automation. Valtra is to introduce the AIRES air-suspended front axle option on the Valtra N Series range in 2019. Air suspension is widely used on commercial vehicles, but on tractors it has been a unique Valtra feature for the last 25 years. An air-suspended front axle offers a faster response and better shock absorption level particularly in fast axle movements and when the axle load is changing rapidly like in front loader use. This makes operator comfort and traction superior over hydro-pneumatic solutions. 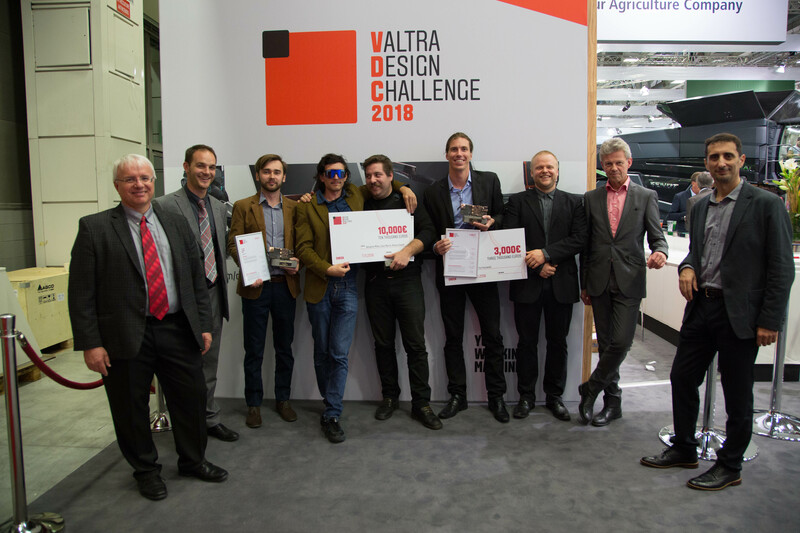 The winners of the 2018 Valtra Design Challenge were announced at the EIMA Show in Bologna, Italy. The competition which started in April and ended on September 23rd was targeted globally to designers, academic design students, design studios and automotive suppliers. This year’s challenge was to design the multi-purpose vehicle of the future: a machine that can handle multiple tasks to meet future needs and that is more efficient than today’s highly specialized machines.